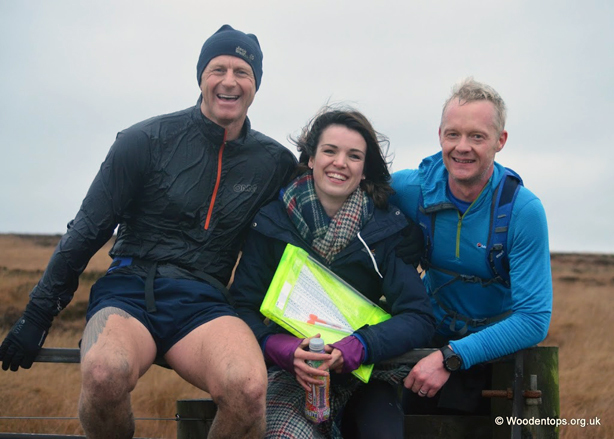 Calder Valley Fell Runners celebrated its 30th year in 2016 and we have come a long way since a small band of renegade runners shared a pint and chatted about creating a club dedicated to their fondness of running on the open fell. Last year one of our senior members was selected to run for Yorkshire and Great Britain. As well as these individual achievements, our club has enjoyed national success for our men’s, lady’s and veteran’s teams, as well as a string of victories in relay events; all testimony to the team ethos that our club embodies. With a base in Mytholmroyd, we meet every Tuesday for pack runs and specific training sessions, with lots of other social runs, training sessions and recces organised by individual members. Whatever your level, there is always a group you can run with or a session you can benefit from. We are NOT an elite club for fast runners only but do have some elite members. We also attracts triathletes, adventures racers, mountain bikers, road cyclists and climbers who enjoy the craic of running or racing with others. We really believe in putting something back into the sport we enjoy and organise a number of races each year, from the fantastic Coiners 7 miler in May to the twenty mile epic “Bernard Pierce Wadsworth Trog” in the depths of winter. Away from the racing scene, we have a growing number of club members who have successfully completed the “Bob Graham Round” as well as other similar personal challenges. With distinctive red and white hoops and the ram’s head logo, our vest is recognisable throughout the country as not just one of the country’s top fell running clubs, but also one of its most sociable and well run. With a membership of over two hundred members and a flourishing junior section, our club caters for and welcomes all standards of runners of all ages from steady runners to international racers. What’s Fell Running all about? Instead of pounding along roads with the smell and noise of traffic engulfing you, fell running allows you to explore our beautiful countryside. There are a few gifted top level athletes, but the majority of people compete at their own level, meeting the same faces on different runs and going at their own pace. Fell running is an expanding sport following the publication of Richard Askwith’s Feet in the Clouds, that describes the fell running world. Races vary from a few miles to marathons and beyond, but the main aspect that filters through all races is a sense of fun and camaraderie. Fell running is an amateur sport and so you can meet and run with the top names in the country – although most will only see their backs disappearing over the horizon! The majority of runners will walk up the hills, but you’ll be surprised with regular training how much further you can go. The club training runs are for everyone and we look after all our new runners. The full route run is described on the website, however many club runners take a shorter route and we have introduced “have a go” nights. These take place over a 6 week period when the clocks change in March. There’s a leader for every week taking you out to get to know the local area and help you cope with the hills. Where do you run from? Club training runs tend to start at the Mytholmroyd Community Centre, but occasionally we have away runs so check the training timetable for details. Running – is that all you do? Our club members are not just runners. They come from a wide variety of backgrounds and are interested in other sports such as cycling, adventure racing, climbing, walking etc. There are hobbies such as photography – especially of the fells! Often the whole family can come along – children can run in the junior races and the adults in the seniors. For the seniors there is also important post race debriefing in the local pub! Check out what else we get up to! Your data will be stored by certain committee members to deal with your membership and to handle the championship results and club races. For further information on this please see our data usage page.